For many years, the timeshare market has flourished in Orlando. The area is home to some of the industry’s largest and most recognizable names. While a large number of people purchase timeshares and use them with little to no problems, that’s not everyone’s experience. Timeshare companies aren’t always clear about the financial responsibility that comes with owning a timeshare. They don’t always make you aware of all the fees or special assessments that you will be required to pay. If you decide that you no longer want to own your timeshare, you will likely be told that your only option is to look for a buyer. You may even be told that a contract cancellation is impossible. When you have issues involving your timeshare, your best option is to contact a timeshare attorney in Orlando. A timeshare attorney can clear up a number of issues for you and vigorously fight for a positive resolution as it pertains to your timeshare. If you feel that a timeshare company made misleading claims or withheld information that would have prevented you from purchasing a timeshare, it could be grounds for cancellation of your contract. We will work diligently to discover if a timeshare salesperson misrepresented their product offering in their sales pitch. If you were a victim of a timeshare scam in Orlando, our attorneys will work to make sure that you are justly compensated for your lost. If you can no longer afford to keep your timeshare, we can negotiate with the timeshare company to get them to take the unit back as part of a deed in lieu of foreclosure. The foreclosure process costs timeshare companies time and money so, in some cases, they can be persuaded to accept a deed in lieu instead. If you are considering the purchase of a timeshare, the smartest thing you can do is contact one of our timeshare lawyers. We can review your contract and give you a clear picture of your responsibilities. It’s the best way to ensure that you make an informed decision about your timeshare. 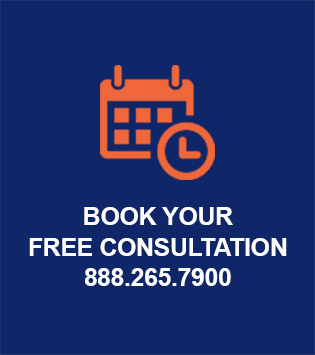 For a free consultation with a timeshare attorney in Orlando, please contact us at 888.265.7900, or book online.